For years, L’Engle’s ideas about the physics of time travel stayed firmly in the realm of science fiction. But now, 54 years after the book was first published, advances in string theory and the recently proven existence of gravitational waves lend them some credence. In the book and film, time travel — across the 91 billion light-years that the observable universe is thought to span — is made possible by the existence of the fifth dimension, which is imagined as a sort of wormhole that allows characters to move through spacetime. L’Engle’s interpretation of dimensional time-travel is far from plausible, but her ideas do have scientific roots. She refers to the wormhole, or fifth dimension, as a “tesseract” — a portal from one area of space to another. Scientists today posit that the number of dimensions in this universe may very well stretch past four, and they agree that, if traveling through space and time is actually possible, it would probably happen through a wormhole. L’Engle gets this much right, but she takes some artistic license when discussing tesseracts. Real-life mathematicians define a tesseract as a shape that inhabits four spatial dimensions — the fourth dimension, of course, being time. So, if the first three dimensions make up the length, width, and depth of physical space, the fourth dimension is the one that we can’t see, but still move through every day. Artistic rendering of a mathematical tesseract. L’Engle incorrectly suggests the fifth dimension represents time, but she’s not wrong to suggest that it exists. Some string theorists argue that there are actually 10 dimensions: According to superstring theory, there are six dimensions that are curled into the four accepted dimensions. All matter in the universe, string theorists say, is composed of one-dimensional strings, and these strings warp time and space around themselves. The fifth dimension, they theorize, is a world “slightly different from our own,” while the sixth is a plane of possible worlds. 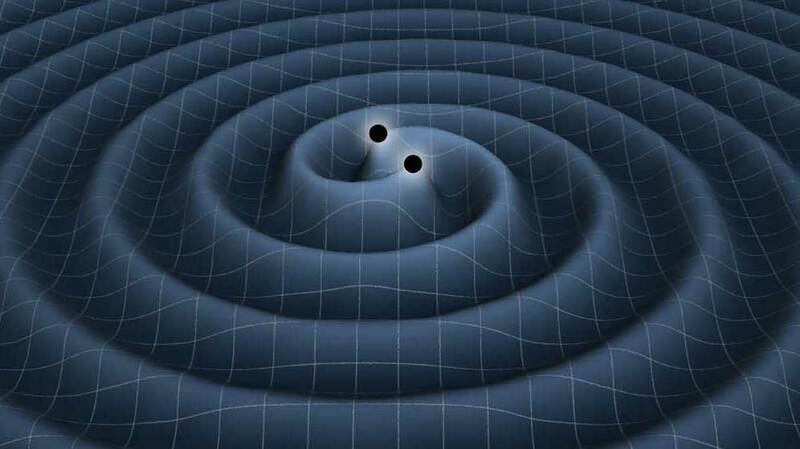 Artist rendition of binary black holes producing energy-carrying gravitational waves. While the existence of the fifth dimension is, for now, theoretical, some scientists believe that proof is within our reach. In a paper released in June, researchers from the Max Planck Institute for Gravitational Physics argued that gravitational waves can be used to reveal undetected dimensions. Because it’s likely that “gravity is present in all dimensions,” they argue, it’s also possible that gravitational waves will be detected in other dimensions. Could those other dimensions really be used for time travel? Scientists who theorize that wormholes could represent points of time travel describe them as a connection between two locations in spacetime. But wormholes, in theory, would only allow an entity to move backwards in time: Scientists reason that, if one end of the wormhole accelerates at a higher velocity than the other end, then the object traveling through it would be moved to a time before it even entered the wormhole. That doesn’t give a ton of scientific credibility to the Murry family and their supernatural sidekicks, Mrs. Whatsit, Mrs. Which, and Mrs. Who. But L’Engle deserves credit for piecing together real time travel theories at a time they were barely considered plausible. Fans of the book will have to wait until March 2018 until A Wrinkle In Time is released — unless they find a tesseract to travel through before then.